I really do love Christmas. There are prezzies and good food, and in the next stage of the good food, we decided to crack open our special Yule log for a Boxing Day treat. 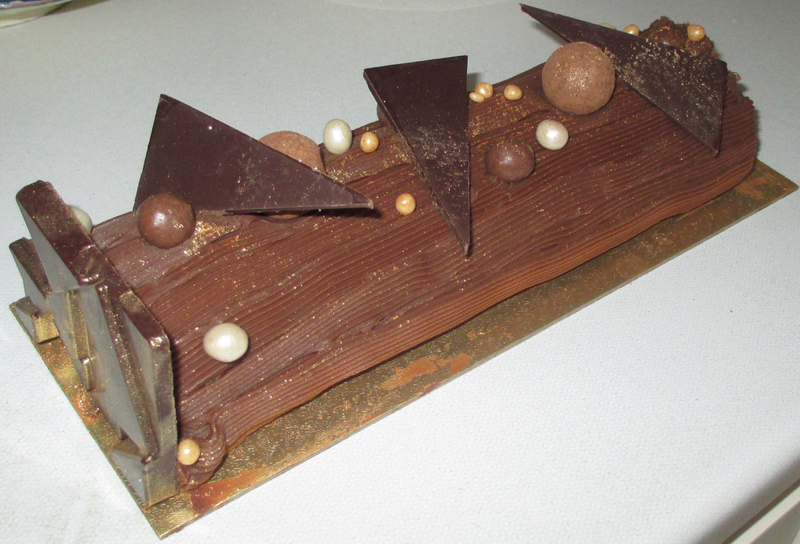 What a treat this is too, this is from Marks and Spencer, and it is a Luxury Salted Caramel Chocolate Yule Log. It is absolutely stunning to look at, and is a chocolate lover’s dream. The sides of the Yule log are held in with slabs of glittered chocolate, and there are salted caramel chocolates decorating the top too! 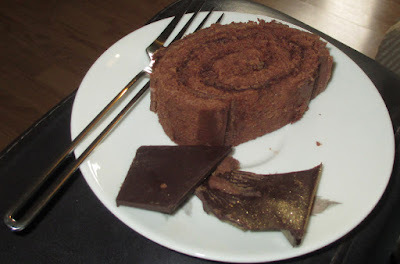 We sliced the Yule Log ready to share and broke some chunks of the chocolate from the sides to add to the plates. The cake was very rich, but I am guess that is unsurprising. The sponge is soft and the chocolate buttercream is full of chocolate flavour, and a lovely edge of salty caramel. Each mouthful just melts in the mouth, and is a delight to eat. I loved the topping of chocolate caramel, which just burst oozing salty caramel flavour when bitten. The cake is stunning to look at, and an absolute pleasure on the tastebuds too. I’m going to be lapping up all the festive foods, right up until January kicks in and if you are doing the same I’d recommend picking up one of these cakes. Chocolate heaven.